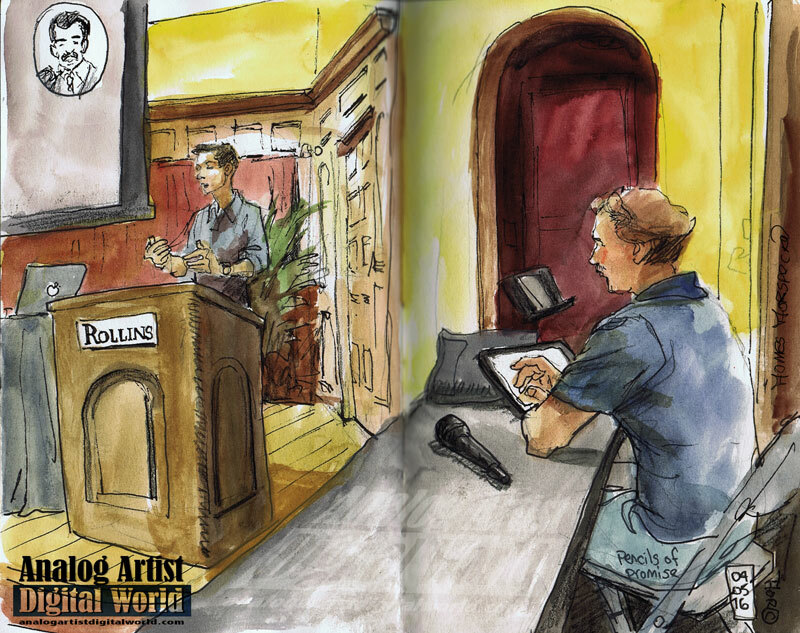 Analog Artist Digital World: Adam Braun discusses how he founded Pencils of Promise. Adam Braun discusses how he founded Pencils of Promise. Adam Braun is a New York Times bestselling author and the Founder of Pencils of Promise, an award-winning organization that has broken ground on more than 300 schools around the world. He also leads the Global Education Platform, an initiative conceived by the UN Special Envoy for Global Education to produce breakthroughs in learning innovation. His talk at Bush Auditorium, in Rollins College outlined how he got started. Adam began by showing a photo of his family in the 1970s. 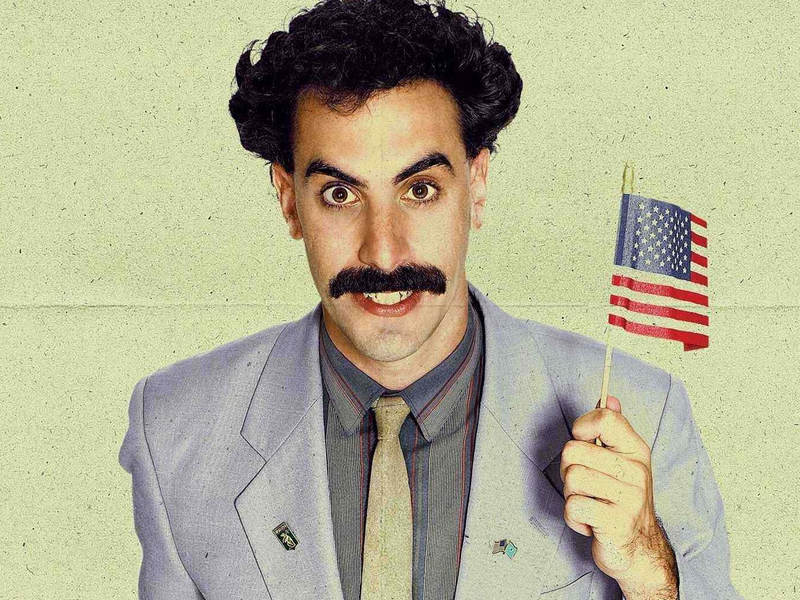 He got the crow laughing by zooming in on his dad with his thick mustache and dark eye brows and said that he as the model for Borat. On a more serious not he outlined the family values that came from having grand parents who had survived the holocaust. His mother instilled in him a refusal to accept mediocrity. Failure is important in anyone's growth. As a child Adam collected playing card and he figured out how to trade his way into getting the rarest cards. It turns out this isn't much different than what happens in the stock market, so this became his passion right out of college. In college he read books about rock Stars, and he realized that their greatest works came in times of struggle. True self discovery begins where your comfort zone ends. Adam traveled over seas and he saw incredible poverty. He asked a young boy, "If you could have anything in the world, what would it be?" The boy responded, "A pencil." Adam happened to have a pencil and he gave it to the boy. A pencil can write about 40,000 words before it is spent. It can also create thousands of sketches. The simplest tool holds so much promise. Big dreams begin with small unreasonable acts, When Adam got back home, he decided to found Pencils for Promise. He went to a bank and opened a bank account. The minimum deposit was $25. Since he was 25 years old he decided to open the account in that amount. Pencils for Promise has built 340+ schools that teach 35,000 students, increasing literacy three times. Adam showed a video of a 1mm domino. Each domino can knock over another domino that is one and a half times larger. In 29 Steps, that 1mm domino could knock over a domino as large as the Empire State Building. It is a good example of how a small act or inspiration can multiply and spread. Adam showed a video of a dancing cow. the point he made was that you should commit to being the best in the world at what you do. If you are a sweeper, then you should be the best sweeper. If you are a mascot, be the best mascot. If your dreams do not scare you then they aren't big enough.